Patchy Work of Mini Grey: First Finish for 2013! 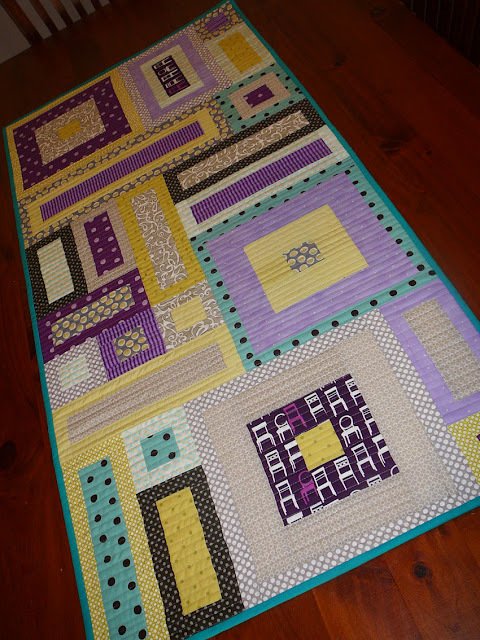 I have finished this table runner. 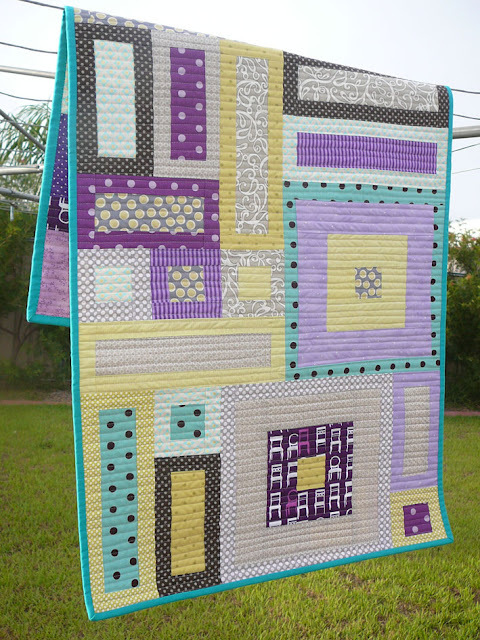 It is called Feista and it is from a book titled Skinny Quilts. The pattern was based on four groups of blocks which would have made it a whopping 70.5 inches long. 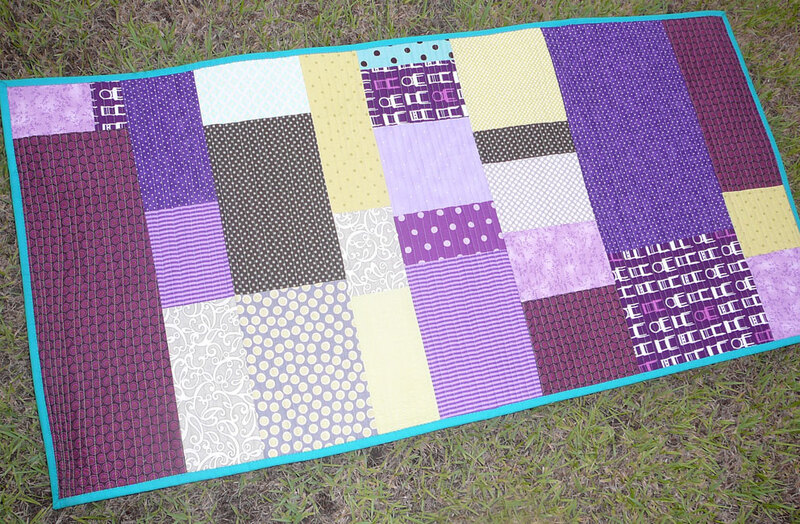 I only did three groups of blocks and that made this runner just on 48 inches long which I thought was a better length. I used up all my fabric recieved from Christmas, using the scraps for the backing! The binding was from my stash of solids though. I just had to add three small light purple scraps and it was perfect. Maybe even better than the front? The husband thinks so if his opinion counts. Looks at home on my table but it's rolled up ready to post to it's new home. Would I make this pattern again? Unsure.... maybe. Not your usual colour pallet but very pretty all the same! It's very pretty, I love the colours in this one. really lovely - I love the design. I love your quilt. Great colors. I have that book and have made two quilts from it, but I never thought about making this one. Your quilt has made me want to do it. It's gorgeous and I LOVE how you quilted it! Perfect! I love both sides of this darling runner! 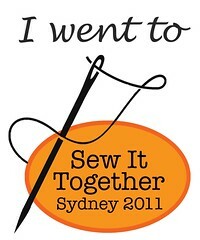 I can see you making something like it again... in totally different colours of course! And great to use up scraps.